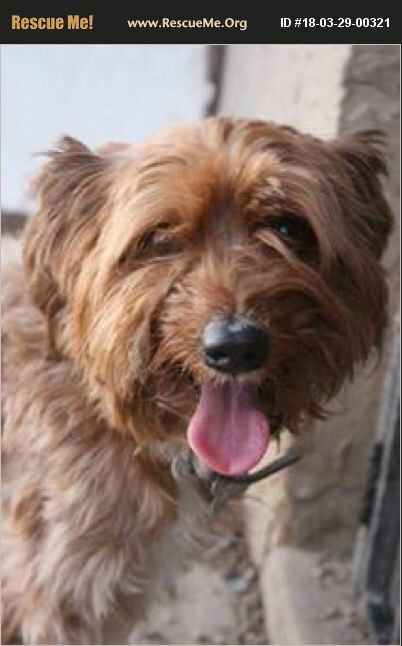 Thor is a 2 year old schnoodle (schnauzer/poodle mix) who is looking for a loving forever home. Thor is a high energy boy who is always on the go! Thor loves to play with toys, but is an independent player and prefers not to play with other dogs. Thor would do best as the only dog in the home. Thor needs a home with no children under the age of 18. Thor previously bit a 9 year old in his home while she was petting another dog. He also has a bad habit of resource guarding, and will need a patient family who is willing to work with him on his bad habits. Thor is both house broken and doggy door trained, as well as being kennel trained. Thor likes to ride in the car, and loves to go on walks, so he is ready to go on plenty of adventures with his new family. Thor is protective of his home and will bark. Thor is a ladies man who tends to love on women more quickly than men. Thor is an outgoing boy who loves to seek attention and affection. Thor has quickly made great friends with our staff and volunteers, and we are eager to see him find a loyal family to show his love. Thor weighs in just under 20 pounds fully grown. He is neutered, up to date on shots, microchipped and vet checked. His adoption fee is $260. His adoption includes a free vet visit as well as 30 days of free pet insurance. To meet him, please come to our shelter location 1102 W Hatcher Rd open Tuesday to Sunday 11am to 6pm.